The second alpha of the Zesty Zapus (to become 17.04) has now been released! The Lubuntu Release Team is happy to announce the first beta milestone of Xenial Xerus (to become 16.04 LTS in April) has now been released! A few bug fixes have come since the last alpha, but one piece of excitement is that this new milestone includes the 4.4 kernel that will be shipping with the final product. Make sure to read the release notes to be aware of known bugs and workarounds. Your help would be most appreciated in terms of helping confirm/troubleshoot/triage those bugs, as well as filing any new bugs you find. Speaking of bugs, though we’re still working on LXQt for a future release, we do expect to have some bug fixes for LXDE in the final release, so make sure to keep watching for announcements, especially on the Lubuntu Development mailing list. For Release Notes and downloads, please see the Lubuntu Wiki. To everyone that helped make this release possible, thank you. To those that would like to help, please get in touch (especially those of you that have PowerPC machines!). Various bugs that required updates are rolled into this update. You can grab the new ISOs in the Downloads section. More details on the (several) changes can be found here. Don’t forget to read the Release Notes. More images here. Release Notes and downloads at the wiki page. Lubuntu Xenial Xerus with LXQt— on PowerPC! 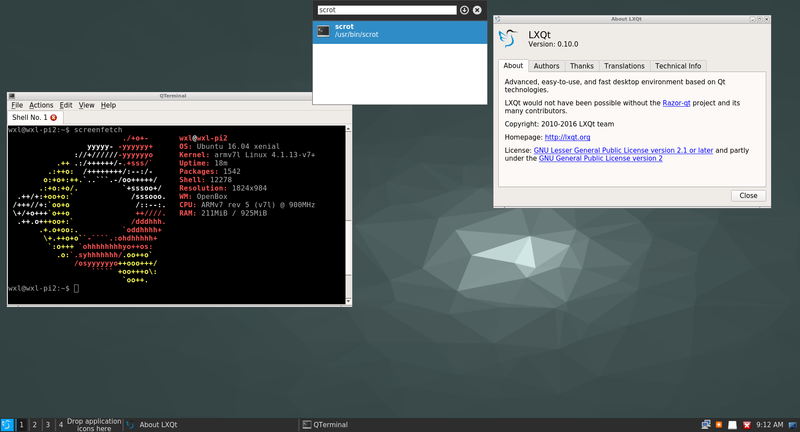 We reported how to run upcoming Lubuntu desktop LXQt in Xenial Xerus on a Raspberry Pi 2 and now, thanks to tester Herminio Hernandez, Jr. (and his iBook G4), we can confirm that it works on PowerPC machines! Previous to having the LXQt packages in the repositories, PPC testers were unable to use the PPA because Launchpad didn’t build for architectures outside of i386 or amd64. The other benefit is that it should be less cutting edge and thus more stable. Since we release PowerPC images only for LTS versions and since we’re not planning on releasing LXQt for Xenial, there will be a bit more waiting for PPC users, but at least in this way, a pretty solid preview can be obtained. Should you follow this procedure, please report any bugs against the appropriate package itself, since all of the necessary packages are in the repos. Meanwhile, PPC testers can get back to ISO testing the LXDE Xenial Xerus image, which is due 21 April 2016. Further questions can be directed at the Lubuntu QA Team. And that’s all. Enjoy Lubuntu in your new Pi. Remember this is just an experiment, it may be unstable. But what are Raspberry Pi computers for, but testing and having fun? Hi folks, the 1st milestone release of what will be our 16.04 LTS is now out in the wild. I’m only posting the release notes link, as it is important you know of issues (none are computer critical) so that you don’t waste your time reporting an issue we already know of. If you find new issues, please follow the reporting section at the bottom of the notes. Grab it while it’s hot! The final testing of 15.10, Wily Werewolf, is now underway. Grab the images at QA Builds. For details on testing head over to the Testing Wiki. as well as other flavours of Ubuntu with long-term support. And that includes, of course, Lubuntu. 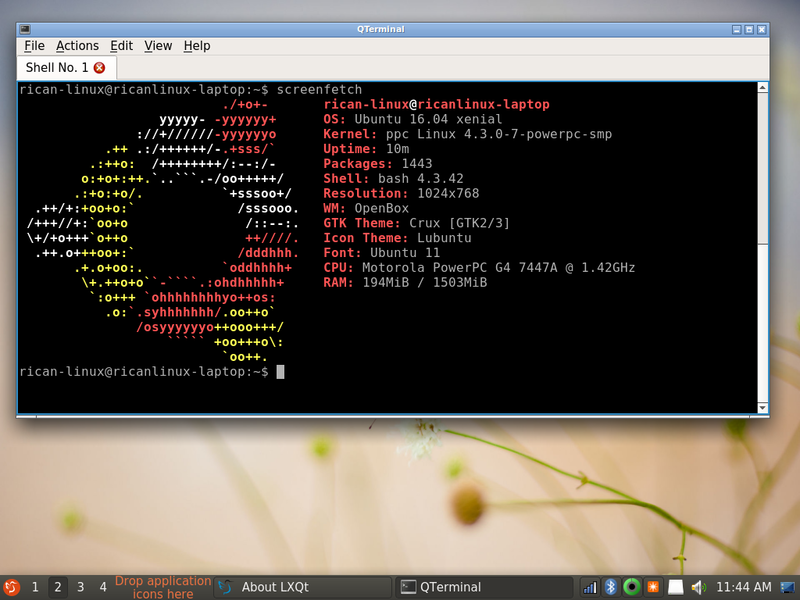 stability and compatibility with Ubuntu 14.04 LTS. Official announcement here. Download it here.